Kissaki KT Series 19L 6.0″ & 18L-30 tooth Left Handed Hair Shears Set. 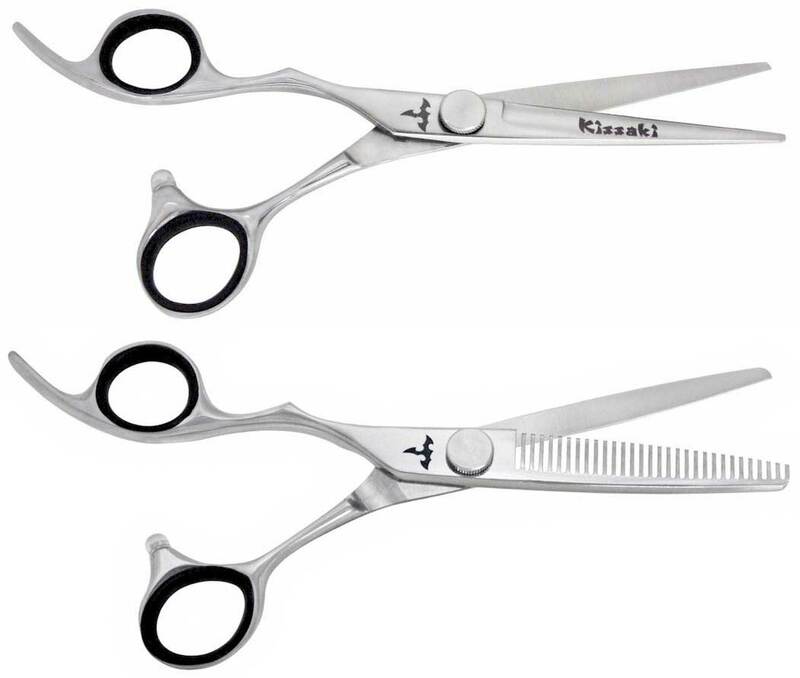 This is a Left Handed matching set consisting of the Kissaki KT Series 6.0″ offset Hair Cutting Scissors & 6.0″ – 30 tooth Left Handed offset Thinning Shears. This matching set of hair scissors features razor sharp convex cutting edges, offset grip, ball bearing tension adjustment system and are designed and constructed for heavy hair cutting workloads required by professional Beauticians and students of Cosmetology.are ideal for professional hairstylists and Cosmetology students that require a heavy workload of hair cutting. 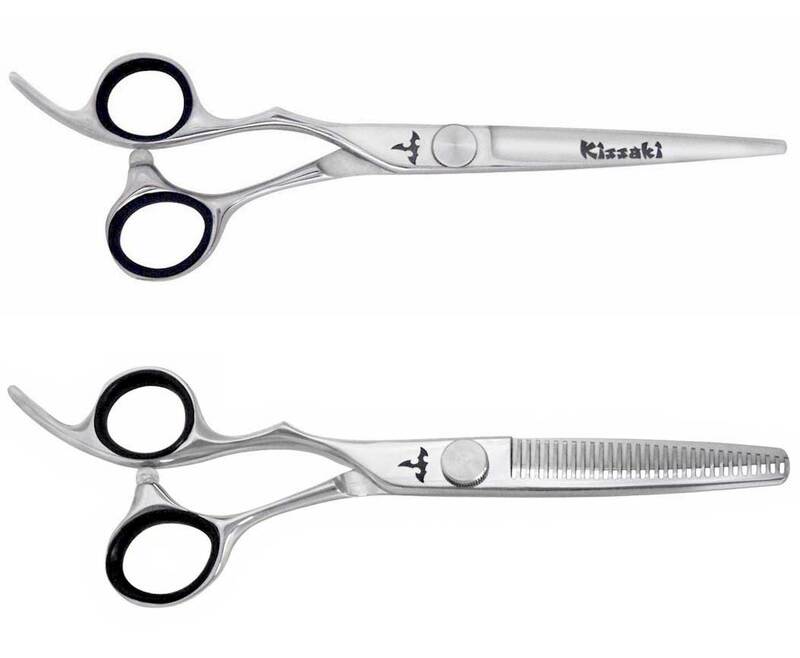 All Kissaki Hairdressing Scissors are Lifetime Guaranteed against defects in materials and workmanship. 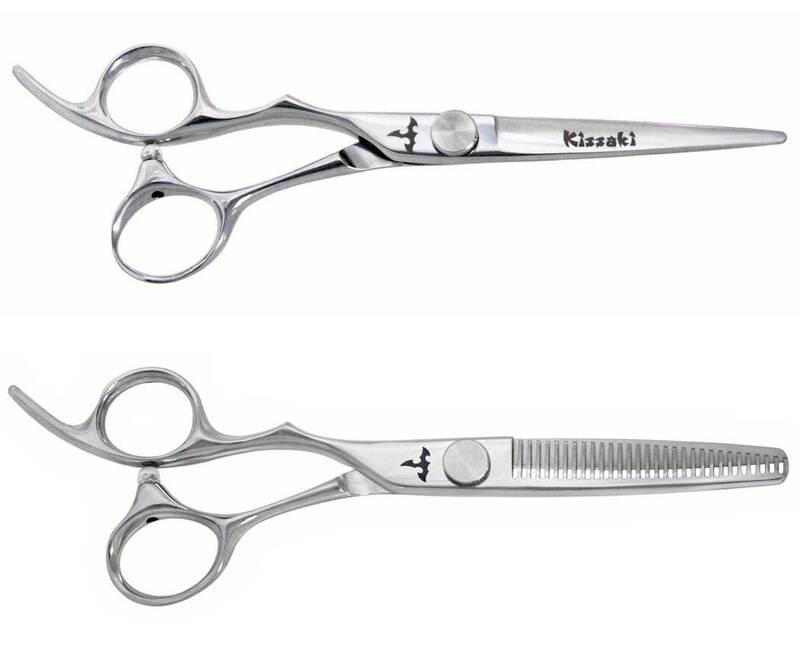 All Kissaki KT Series 19L 6.0″ & 18L-30 tooth Left Handed Hair Shears Set includes our beautiful custom shear case including lubricant, finger sizing rings and a leather cleaning – polishing cloth.